My dear blogger friend, Laura from A Grace Filled Classroom has reached an important milestone! She has reached 200 followers in her Teachers Pay Teachers store! 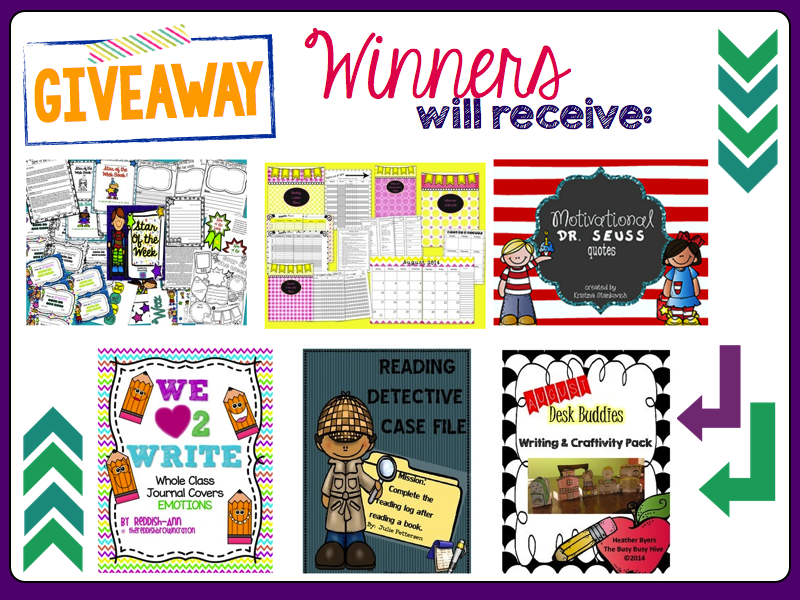 To celebrate her success many of us fellow bloggers are having a giveway! Two winners could win all of these products! 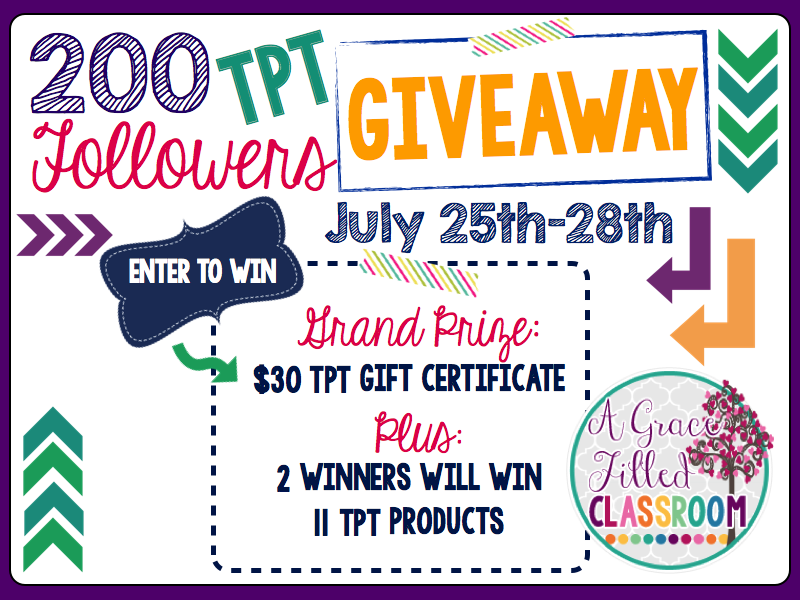 Also, a grand prize winner could win a $30 Teachers Pay Teachers gift certificate! Imagine all the back to school resources you could buy for $30! Now's your chance to enter to win because the giveaway is over in just 3 days! Ready, set.....Go! 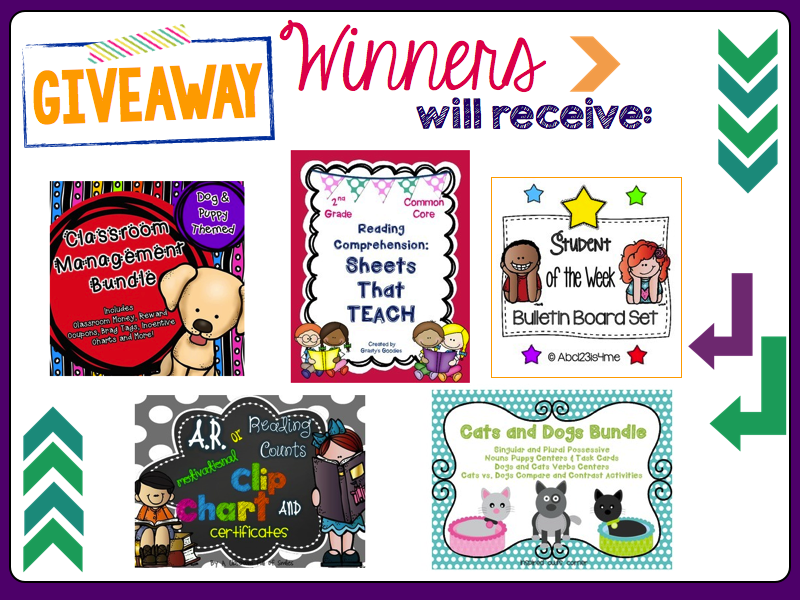 Click here to enter to win at A Grace Filled Classroom!